At Morrey Nissan of Coquitlam, we want to make sure that it is as easy as possible for you to lease or finance your brand-new Nissan vehicle. That’s why our team of experienced and courteous sales representatives will take the time to explain every financing solution that is offered to you, and then ensure you take the time needed to make the best decision for you and your family. Morrey Nissan of Coquitlam is all about customer service, and that’s why we make sure that you do not feel any pressure when the time comes to deciding how to purchase the Nissan of your dreams. If you are buying a pre-owned vehicle, we offer a wide range of financial solutions and we will work with different financial institutions to make sure you get the very best interest rate. We also offer various protection plans and extended warranties that may just be right for you. Again, we will take the time to explain everything and give you the advantages of each plan or warranty, and then stand back and let you decide if they are right for you. 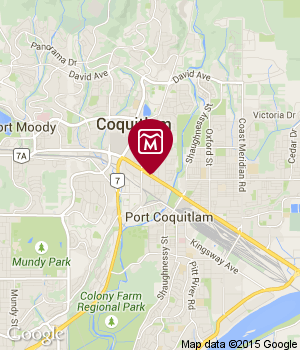 At Morrey Nissan of Coquitlam, we work with each client to make sure we fully understand their needs and expectations in order to find the perfect personalized financing or leasing solution. To make things easier, you can even start your financial application online. A member of our team of financial services representatives will contact you as soon as we receive your request. 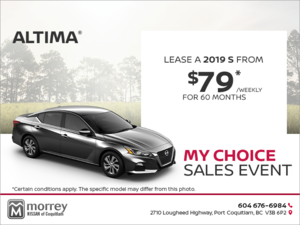 To learn more about Morrey Nissan of Coquitlam’s range of financial services and leasing and financing solutions, contact us today at 604 676-6988, or online using a contact form on our website.